It's the weekend! Kick back in your PULLOVER HOODIE and PJ PANTS and relax! This 30-page PDF sewing pattern for 18" dolls gives you detailed instructions and full-color step-by-step photos for making a comfy pullover hoodie with drawstring and front pocket. Also included is a BONUS pattern for easy-peasy PJ Pants. Wonderful pattern. Turned out beautiful. This pattern was so easy to use and fit the doll very well. I can't wait to give this one as a gift and make more! Great pattern and fits well. I made it as a camping outfit and embroidered on the front of the hoodie. Turned out great!! Made this for a friend's granddaughter's Bitty Baby. Fits her perfectly and is easy to put on. All I had to do was cut the pants shorter. 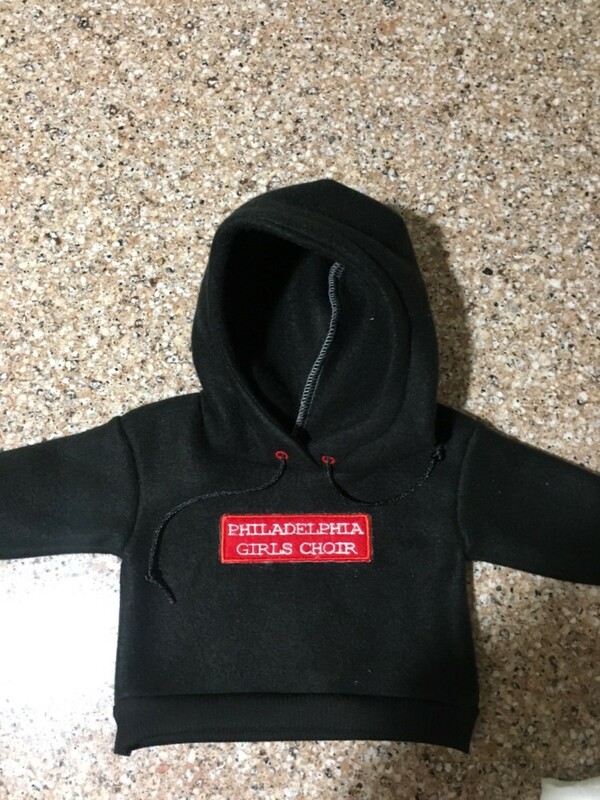 Hoodie fits quite large so is easy to pull over doll's head. Easy pattern that turns out really well because of the hood detail. Loved it. I found this pattern easy to follow and sew and most of all, just adorable!